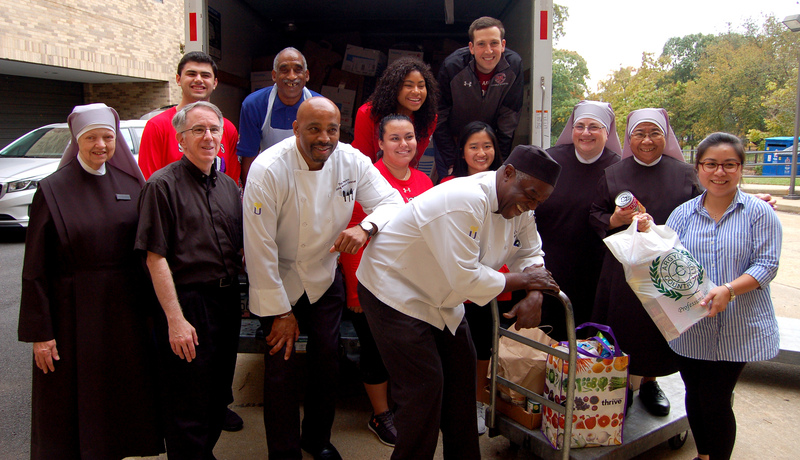 Our begging Sister, Sr. Jeanne Veronique carries on this 177-year-old tradition by begging for all the needs of our home. Several times each week, she and another Little Sister go to businesses and markets around the Washington, D.C. area in our “begging van” seeking donations of food, commodities and monetary assistance. 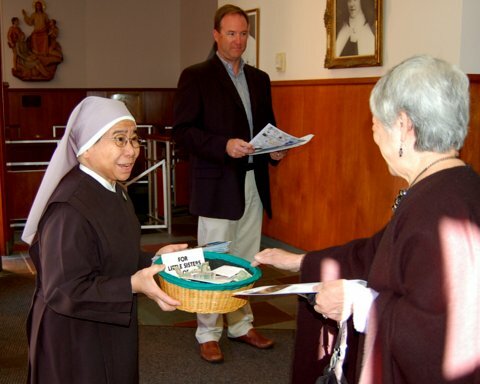 Then, each Sunday, they visit churches around the archdiocese with our “begging basket,” providing an opportunity for parishioners to help us in our work. 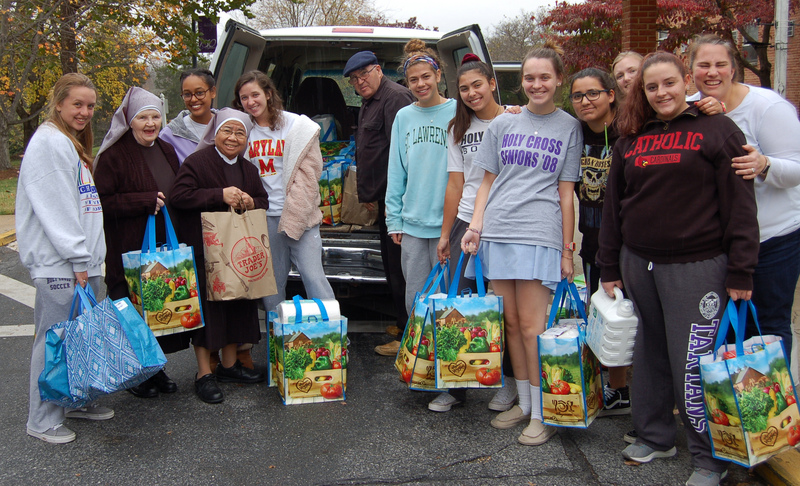 In addition, we are often the grateful recipients of very generous donations of food and other needed items collected through the energy of local parishes and schools. It is with the continuing support from our friends and benefactors that we have been able to care for the elderly poor in the nation’s capital for more than 145 years; and we are committed to caring for them for many years to come. Like Saint Jeanne Jugan, we believe that if we are faithful to our mission of caring for the poor, God will provide. In the words of Saint Jeanne Jugan, “We must always say: ‘Blessed by God. Thank you, my God. Glory be to God.” Following her tradition, we always thank our benefactors by praying for them each day.